When you hear the word “orthodontics,” what comes to mind? Probably a young teenager whose teeth are covered by a latticework of metal. There are indeed many orthodontic patients who fit that description. However, Gilbert Dental Smiles in Silver Springs, MD now offers an increasingly popular alternative to traditional metal braces: Invisalign® clear aligners. 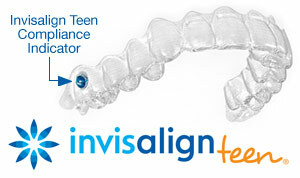 Gilbert Dental Smiles is proud to offer Invisalign for patients looking to subtly straighten their smiles! Call our Silver Spring, MD office at (301) 589-1044 for a consultation appointment.